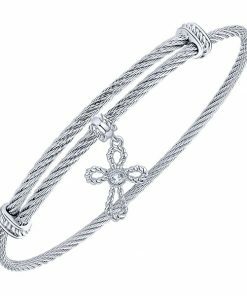 Religious Bracelets | ABC Jewelry | Fine Jewelry at Wholesale Prices!! 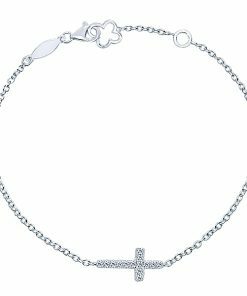 Our religious bracelets feature beautiful but understated symbols of the cross that anyone will love to wear. Our styles are versatile enough to suit men or women, for everyday wear or for more formal occasions. 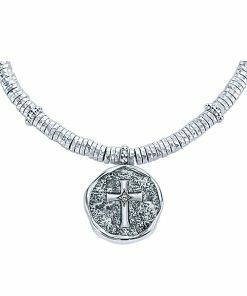 Wear them to church, a special night out, or simply around town. 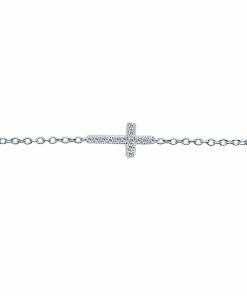 Whether you’re looking for a beautiful and easy conversation starter, or simply a reminder of your faith that you can wear on your wrist every day, our wholesale religious bracelets are the perfect choice. 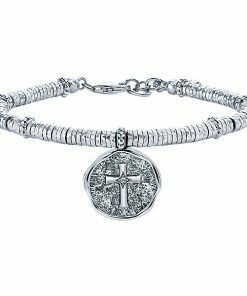 Our Portland, OR, store offers religious bracelets in sterling silver for stainless steel for extra durability against the wear and tear of everyday use. 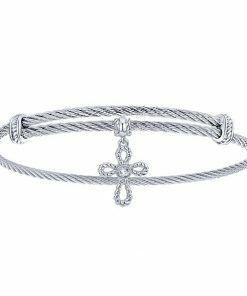 Buy online or buy in person, and be sure to ask our associate about how to care for your bracelet and keep it shining and beautiful year and year.